See? What more does one need? 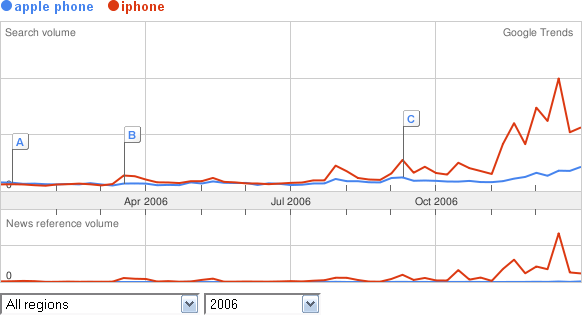 The move up is even stronger than it was before the first iPhone was inntroduced. I think you’re super. You have some incredible applications that you provide for free and that I enjoy very much. You’re not evil. You even love clouds, just like me! We’ve built up enough of a relationship where we can be honest with each other, right? Well, here goes…. I’m not really searching for anything. Yep, it’s true. Let me explain. When I go to you, Google, I’m not really looking for something. Nope, it’s a myth. At least, I’m not looking in the same sense I’m looking for that missing sock or where I ate dinner that one night–I’m looking for the answer to my question. Certainly it’s been a long enough time that you can stop telling me which pages are most relevant to me, and actually just answer my question. The true power of processing billions web pages should be that you can learn from their content, not just retrieve links in short order. Think about this, Google, “Why do people go to Wikipedia?” Well, people go there because they have a singularity of purpose. It’s simple. There is a fact they are “looking up”… very different. When I want to know, “How do I get Windows to stop spitting out a certain error message?” I don’t want to see every instance of someone else asking the same question. Google, I think you should strive to become, not a hub, but an authority. According to [a] Harris survey … 81 percent [of respondents said] that they would look to the Internet for answers if the service was free and 77 percent saying that they would look to the Internet if they knew they would receive instantaneous responses. See Google? Web 2.0 has focused on turning the Web, one of the front-lines of the internet, into a more social experience. Technology took interactivity to new heights and allowed usable applications to be Web-based. Collaboration and a new experience colored the past five or so years. Web 3.0 is already on the horizon. Taking free-form web content and giving it some kind of structure to make processing easier is the next stage. Ok, now, I know what you’re thinking, Google. You’re thinking, “Ha! And kill my ad business? If I tell people what they want to know then why would they ever click on a link someone pays to put there?” Well, Google, good point. However, you’re thinking about this all wrong. First, you can still put ads on a site that delivers more specific information (also see Yahoo! Answers). Second, think in two dimensions! If your market share takes a massive leap (by both grabbing a larger percentage of searches and by increasing the usefulness, and thus overall volume, of searches), which an innovative and technically difficult product like I’m describing will certainly facilitate, then you will clearly be able to monetize more traffic. 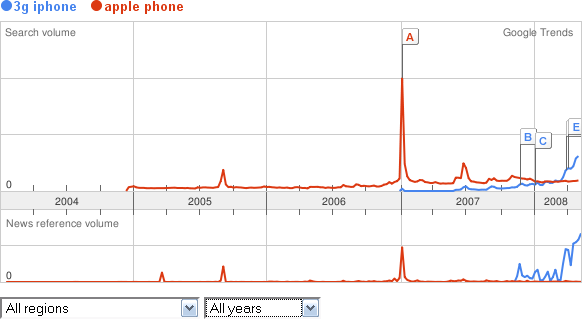 Google, the natural course of innovation has been showed to you by the ebb and flow of what has taken hold on the Web. Now, all the pieces are aligned. The next step is using the Web as a huge knowledge base. 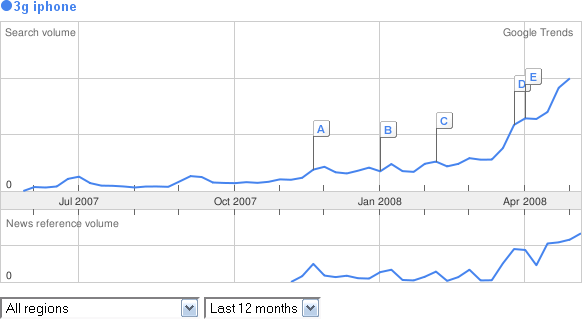 Everyone else is focused on revenue and advertising dollars as the drivers to innovation for search engines. Once the next product comes online, the next evolution in how people use the Web, the competition, still trying to figure out how to perfect the old concept will be left in the dust. Just a thought.